Dealing with the aftermath of a motor vehicle accident is never easy. It can be made even more difficult when the insurance company tries to settle for less than you deserve. When you want to make sure you get the most out of your claim, get help from an auto insurance lawyer in Spokane. Insurers have become infamous for their avaricious strategies, so much so that it has become more and more common for claimants to get the short end of the stick when it comes to the money they’re entitled to. Fortunately, the law is on your side. With an experienced Spokane auto insurance lawyer from Craig Swapp & Associates working your case, you can be sure that you won’t be taken advantage of by a money-hungry insurance adjuster. Our firm will handle the negotiations and communication with the insurance company while you focus on your recovery. This way, you can rest easier knowing you aren’t losing out on the funds you need to move forward with your life. Although dealing with the insurance company is sure to be a challenge, it’s at least reassuring that every driver across the state is required to carry auto insurance on their vehicles. There are minimum limits required on each policy, including $25,000 per person and $50,000 per accident in bodily injury liability and $10,000 in property damage liability. If you really want to make sure your vehicle is protected, you should consider increasing the limits of the required bodily injury and property liability coverage and add comprehensive, collision, and uninsured/underinsured motorist coverage to your policy. Unfortunately, despite the fact that WA requires their motorists to carry auto insurance, thousands of drivers continue to drive without insurance, which puts you at further risk for issues in working out a settlement with an insurer. Oftentimes injury survivors believe that working with the insurance company is going to be simple: You file your claim, and the insurer pays you a settlement based on your damages. Unfortunately, it is rarely that easy. The insurer is a for-profit company. This means that they are going to lose money every time they need to pay out on a claim. For this reason, you should expect the insurance adjuster to try to make you appear more liable for the cause of the accident than you may be so that they can legally get away with paying you less than what you deserve for your injuries. Washington state determines fault based on comparative negligence laws, which allow those partially at fault to file a claim against the culpable party but have their award reduced in conjunction with the percentage of blame they carry. A good example could be if you were 10 percent at fault and were awarded a sum of $10,000, your award would be reduced by 10 percent and you’d receive $9,000 in compensation for your losses. Your attorney will be able to negotiate with the insurance adjuster on your behalf so that they don’t get away with placing any unwarranted blame on you. 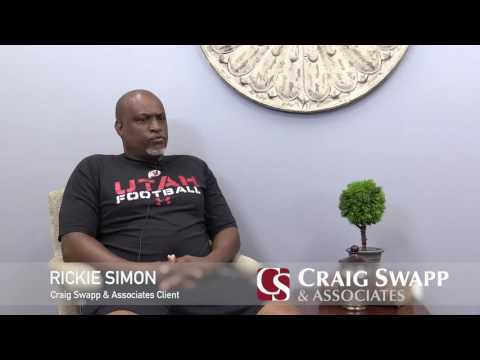 When you’re ready to reclaim control over your life after an auto wreck but want to make sure you get what you’re entitled to from the insurance company, reach out to a talented Spokane auto insurance lawyer at Craig Swapp & Associates. Our firm will work diligently to ensure you achieve maximum compensation for your losses. You can schedule your complimentary consultation by filling out the quick contact form below or by calling our office at 1-800-404-9000.